3 Bedroom Semi Detached House For Sale in Sheffield for Offers Over £195,000. Occupying a delightful position that overlooks open fields is this well maintained three bedroom semi detached property with feature driveway and garage. The property has gas central heating and double glazing and comprises, entrance hallway, lounge with patio doors that look out over the rear garden with views, dining room, extended kitchen, three bedrooms and bathroom and sep wc. The main selling point is the position with the rear garden and its outlook and only a true inspection will reveal this. 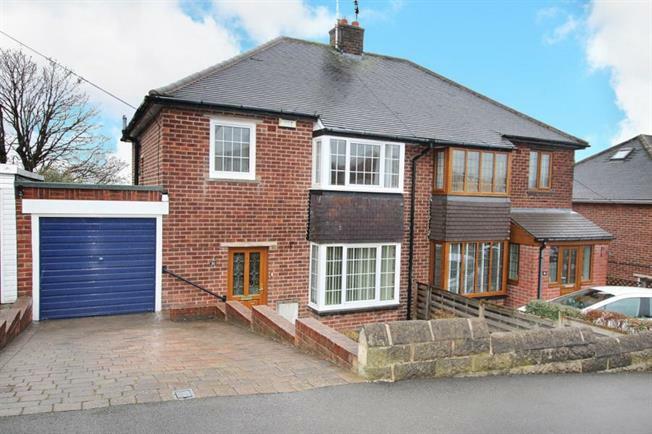 Situated within a popular part of Grenoside with easy access to local schools and shops yet within a short distance to both Sheffield and the M1 motorway network.